The ﻿﻿Sick Leave Banks﻿﻿ are available on a voluntary basis to all unit members; the Rules and Regulations governing the Bank are jointly agreed upon by the Union and the Board of Education. During the thirty days following the announcement of your permanent appointment, you may elect to join the Unit II or Unit III Sick Leave Bank. Applications are available from the ASASP office. 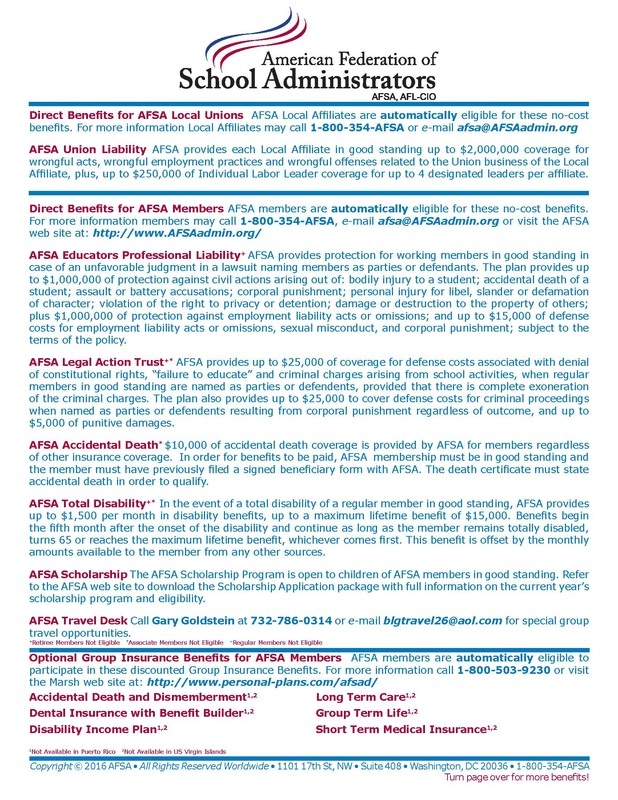 ﻿ASASP is AFSA Local 109 of the American Federation of School Administrators (AFSA), AFL-CIO. AFSA works hard to bring us a package of ever-growing benefits. It is one of the many ways your Union enhances membership value. 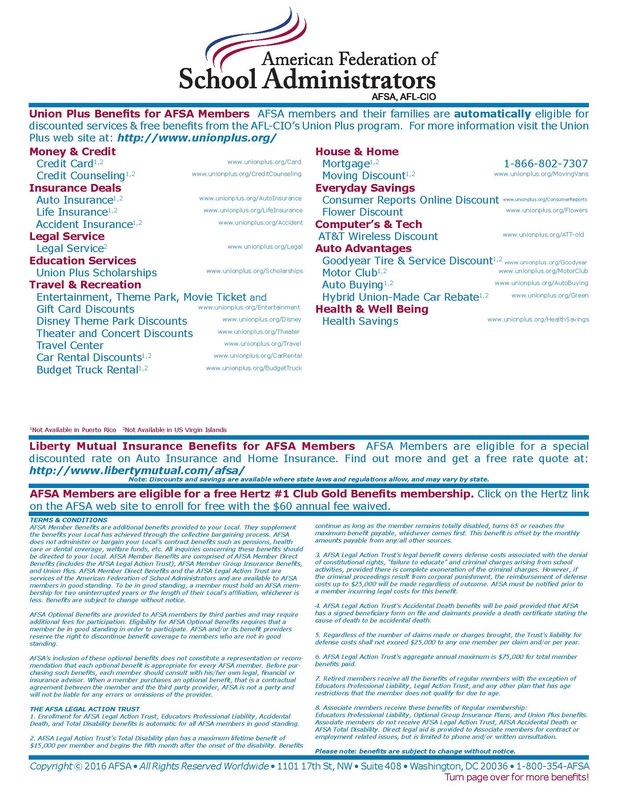 The AFSA Member Benefits Brochure is online for your convenience. This information is for members ONLY! All Administrators and Supervisors are not ASASP-AFSA members. Please do not share this information with non-members. All dues paying members will have access. Members should call the AFSA office at 202-986-4209 to obtain a user-id and password. The user-id and password will be changed monthly but will be given to all members. NOTE: For the Accidental Death Insurance, be sure to file a signed beneficiary form with AFSA's insurance administrator - refer to the online information.